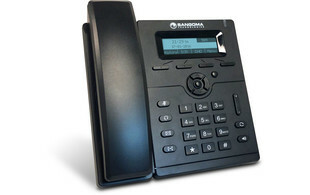 The Sangoma s205 IP desk phone is designed to work with Sangoma FreePBX and PBXact. 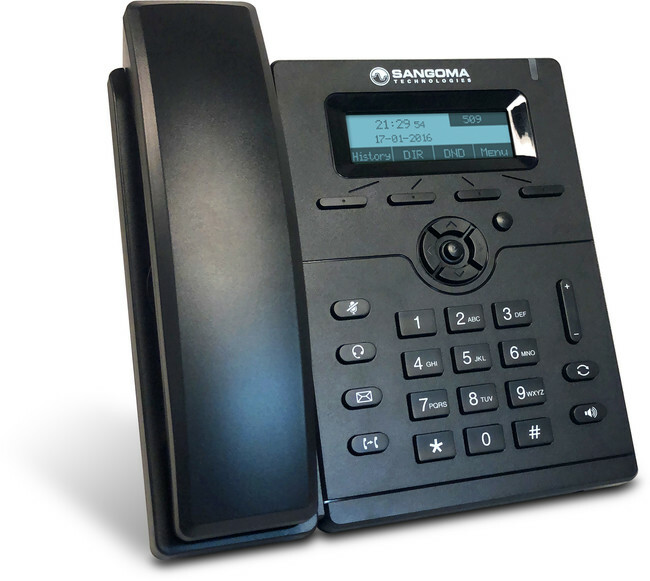 As the entry-level device to Sangoma's S range of phones, the s205 offers a low-cost fully featured endpoint with support for 1 SIP account, dual ethernet ports, HD voice quality, built-in VPN capability and five-way conference calling. 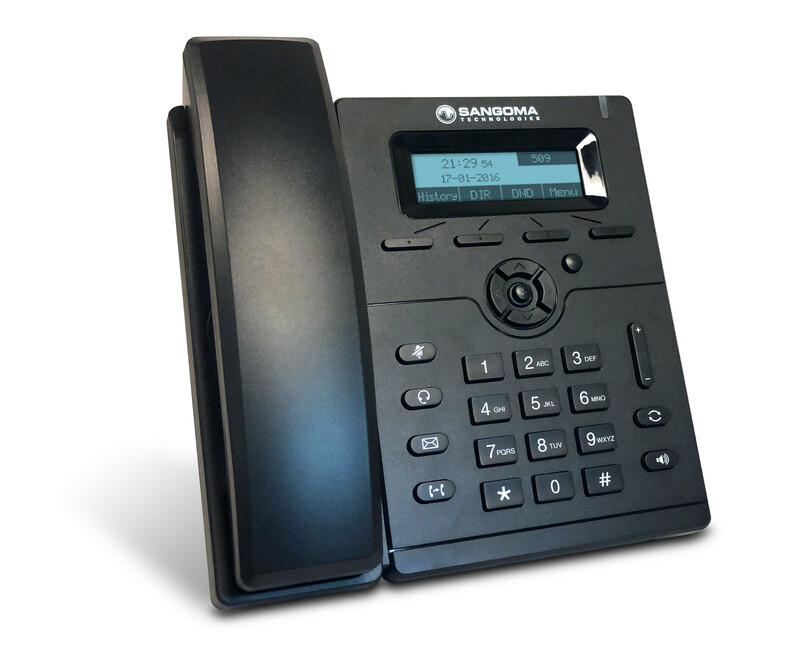 Sangoma IP phones can be quickly and easily set-up to work out-of-the-box when used with FreePBX and PBXact UC systems. The redirection server automatically points the phones to the Sangoma FreePBX and PBXact UC system for configuration, enabling you to easily control the phones settings through Sangoma's Endpoint Manager software, which is automatically enabled when using any of Sangoma's VoIP phones.